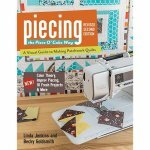 The expanded 2nd edition of Piecing the Piece O' Cake Way is packed with new quilts, improved techniques, and color information made easy. Inside you will find a complete guide to quilting basics including sewing scant quarter-inch seams, cutting fabric that is larger than your cutting mat, sewing perfectly placed points, and much more. 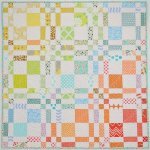 From planning your quilt to binding it, you will learn the most effective way to do patchwork. Both beginning quilters and those with more experience will appreciate the sections on fabric, color, and tools and techniques. The quilt projects are presented in order, beginning with simple strips, squares, and half-square triangles. Once you master those techniques, you can stretch your skills with diamonds, curves, and improv piecing. 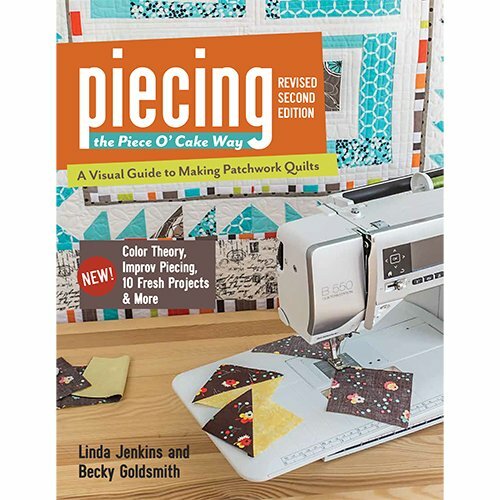 This book includes 10 colorful projects designed to enhance your quilting skills. This handy book lies flat for easy reference while you work. Click here to go to my blog where you can see more quilt projects from the book. Click here to read a review of this book :-). The New Quick & Easy Block Tool is a very nice companion to Piecing the Piece O' Cake Way.